Boating and other accidents can occur on Kentucky Lakes, such as Lake Cumberland. Accidents can occur from everything from operating water crafts negligently, to alcohol related accidents, to even swimming accident. Just this week, 34 year old Kevin Short died while swimming, due to electricity being run from an extension chord. Mr. Short’s wife and child were there at the time, and Mr. Short heroically saved his child from the deadly electricity, which cost him his life in the process. Tragically Mr. Short leaves behind a wife and three children. Our thoughts are with his family, and we salute his bravery in saving his child. Tragedies related to lakes, boating, and swimming, can often be avoided by taking extra precautions. 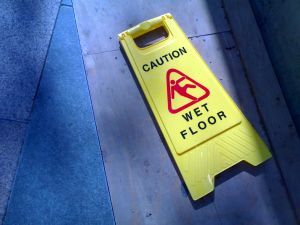 However, even when precautions are taken, accidents still happen. As with all accidents, the legal question is always what if anything could have been done to prevent it or lessen the effects from it. Then the question becomes how can the injured or the family, be legally assisted in their time of financial loss due to the accident. Financially losses include medical bills, lost wages, pain & suffering, permanent injury, emotional trauma, and in cases of deaths, funeral expenses and a lifetime of lost earning potential for families. For the calendar years 2000 through 2009, amongst 52 metropolitan areas, Louisville has been ranked 19th concerning pedestrian fatalities. In a recent report by Transportation for America, a safety-advocacy organization, the Louisville, Kentucky area had a “pedestrian danger index” rating of 95.7. That rating was based upon 192 pedestrian fatalities from 2000 through 2009. That figure translates to an average annual pedestrian fatality of 1.6 per 100,000 people. The metro Louisville area has approximately 700,000 residents currently in 2011. Comparing Louisville with other metro areas, Nashville, TN ranked 14th with 204 pedestrian deaths and had a pedestrian danger index of 109.7. Indianapolis, IN ranked 31st with 180 pedestrian deaths and had a pedestrian danger index of 63.5, and Cincinnati, OH ranked 42nd with 172 pedestrian deaths and had a pedestrian danger index of 37.7. The highest ranked cities, which makes them the most dangerous for pedestrians, were Orlando, FL, Tampa, FL, Jacksonville, FL, and Miami, Fl. Orlando’s pedestrian danger index was 255.4. Kentucky pedestrian fatalities, if involving a motor vehicle striking the pedestrian, have numerous legal recovery options, including automobile insurance policies owned by the deceased pedestrian. If the death is related to a dangerous property condition, then there maybe property owner insurance or business insurance coverage to provide for a legal recovery for the family of the victim. The legal damages that can be claimed and recovered under Kentucky law resulting from pedestrian deaths, which are classified as Kentucky wrongful death claims, can vary based upon the economic factors of the deceased. Firefighters were called to the scene of an apartment building fire on the1600 block of Story Avenue in Louisville, Kentucky on Saturday. The fire started a little after 2:00 a.m. in the morning. Firefighters rescued two adults and a one year child from the burning building. Six year old Ron-deja Lynn Stevenson was pronounced dead Tuesday at Kosair Childrens Hospital in Louisville, Kentucky after being found Saturday at the bottom of the Holiday Inn Lakeview swimming pool. The cause of death has been determined to be complications from a near drowning. The child had been found in the pool by another child around 10:15 p.m. and was rescued from the bottom of the pool by a man whom was informed that the girl was at the bottom of the pool. The child was given CPR at the scene and transported to Clark Memorial Hospital, stabilized, and then transferred to Kosair Hospital for further treatment. The child however never regained consciousness. Unsupervised swimming pools can be extremely dangerous. Owners of pools have a duty to protect young children from falling in and drowning. This is yet another example of a tragedy that may have been averted by proper supervision. Louisville Fire and Rescue have responded to and are battling a fire on the1600 Block of Ruth Avenue, in Louisville, Kentucky. Reports are not in yet on whether anyone has been injured in this fire. Home and apartment fires are tragic for the residents involved, including the residents in the direct proximity of the fire. Not only can a fire result in loss of life, but residents of the premises and the surrounding residents can loose all of their belongs to the fire, smoke damages, and water damage (from the attempts to fight the fire). In cases of fires, the hope is that those affected have had the forethought to purchase insurance to cover such losses. Renters insurance is cheap and can help to put families’ lives back in a position to move forward in the event of a total loss. Anytime there is a fire, the question will be raised of who is at fault and what happened. From there, the victims of the fire can move forward with seeking to try to put their lives back in order. Examining fault will help to know who to seek financial redress from. An unattended cigarette has caused a fire in an apartment in Louisville, Kentucky in the Butchertown area. Other apartments suffered damages as a result of the fire. Luckily no one was injured in the blaze, which occurred on Mellwood Avenue. Tow adults and two children were able to escape the residence before firefighters arrived. The fire occurred around 11:00 p.m. and smoke detectors alerted the residents of the fire. Apartment fires can be costly, due to fire and smoke damage, coupled with water damage from attempts to put out the fire. Many times families loose everything they own to these types of fires. Additionally lose of life can occur. Families living in apartments should have insurance to cover these types of events. Renters Insurance can be very cheap and afford a lot of coverage and protection. 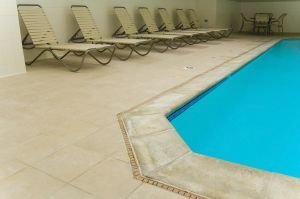 In Kentucky swimming pool accidents can be the responsibility of the owners of the property. 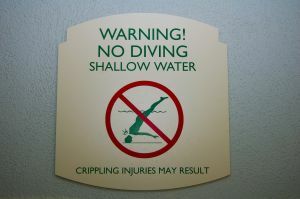 The area of Kentucky law that deals with these types of injuries related to swimming pools are premise liability laws. Whether the pool is part of an individual homeowner’s property or at a setting such as a school, park, neighborhood pool area, hotel, or resort, the property owner has a legal duty to maintain safety and health standards at the pool. Premises liability laws, including those pertaining to injuries involving swimming pools, considers who is at fault and why. • Trespasser: A person who was not given permission to enter the property where the swimming pool is located. For instance, if the injured person jumped over two high fences and broke a gate’s lock to get into the pool and was then injured, he or she will be found to have some or all of the liability for the accident. The degree of the duty owed by the property owner to the person injured upon the property varies based upon the status. A trespasser status, for adults, will require the lowest form of duty owed by the property owner. In Kentucky, young children, even if determined to be a trespasser, will likely not be liable for their own injuries in a swimming pool. This is because Kentucky law will consider the swimming pool an attractive nuisance to the young child, and thus considered to have lured the child to it, even if wrongfully entering the property to get to the pool. In Kentucky, owners are responsible for injuries caused when their dog injuries a person. Kentucky Revised Statute (“KRS”) 258.235(4), states: “Any owner whose dog is found to have caused damage to a person, livestock or other property shall be responsible for that damage.” This means that Kentucky is a “strict liability” state when it comes to dog bites and dog attacks. Who better should take responsibility for a Kentucky dog attack injury than the owner who could have prevented it by taking proper precautions in controlling their animal? However, people and children who are bitten by dogs or attacked by animals may face legal hurdles to seeking to be compensated for their injures. Even though KRS 258.235 created a strict liability action, negligence principles are still applicable, as the dog owner’s liability may be subject to the doctrine of comparative negligence. This means that dog owners may seek to have a certain amount or percentage of the fault from a dog attack assigned to the victim of the dog bite or dog attack. 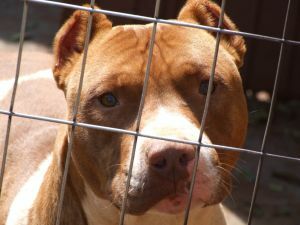 That percentage of fault sought to be assigned by the dog owner to the victim may be attributed to the victim’s status as a trespasser upon the property and/or the victim’s behavior causing the bite or attack. Under a strict liability theory, the owners of an animal may still try to exculpate themselves from liability by showing that the harm was caused by the victim’s fault, or by the fault of a third person for whom the owner was not responsible, or by a fortuitous circumstance.